When games are successful, naturally sequels are expected. The insanely popular Minecraft appears to be taking a different approach. When Microsoft forked out a whopping $2.5 billion for the franchise in 2014, analysts expected the company would quickly churn out a sequel to make it a worthwhile transaction. 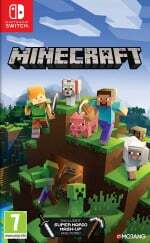 It's now 2018 and the original game by Mojang is still being supported. So what's going on? Although we've heard it previously, Microsoft's Minecraft boss Helen Chiang recently issued a reminder during an interview with Business Insider, that a sequel to Minecraft would not make sense. The reason why is because it would fracture the community. We're trying to keep our community together...That's why our updates [are] free. We don't want to ask [players] to move from Minecraft 1 to Minecraft 2. We want them to just enjoy Minecraft. And there's other ways that we can expand that are more meaningful and authentic to what we want to be, rather than just releasing another iteration in the way that most other franchises do. Despite Microsoft's decision to not release a sequel to Minecraft, it's still happy to grow the brand in other ways - with games like Minecraft: Story Mode and the recently announced Minecraft: Dungeons for PC now on the way. What do you think about Microsoft's current stance? 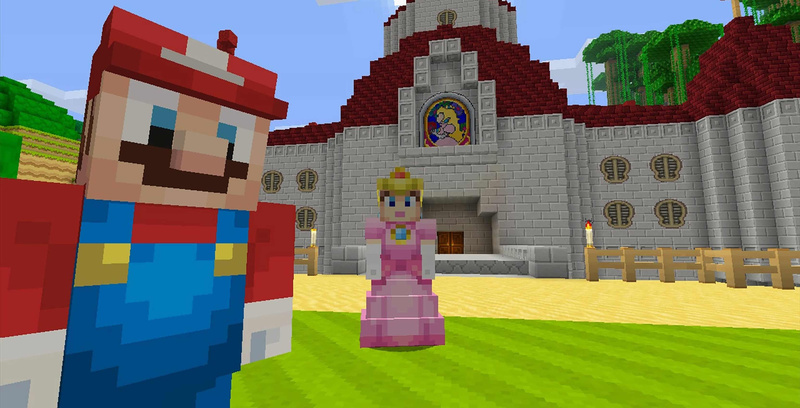 Do you agree a sequel doesn't really make sense for a game like Minecraft? Or would you like to see one in the future? Tell us below. It doesn't make any sense indeed, that's why expansions are for: skins, aquatic, new items, Mario World, Story Mode, etc. If Minecraft is so good, why isn’t there a Minecraft 2? I still think both Portal Knights & Dragon Quest Builder (1 & 2) are Much Better than Minecraft in term of gameplay & graphics. I think we're quickly moving into a world where sequels just don't make as much financial sense. The graphical improvements have become minimal, and gameplay is mostly defined by the platforms hardware- which isn't really going to change until VR/AR is a viable replacement for controllers. Plus, why dedicate an entire 200 man studio to churning out a 100 million dollar sequel that could very well be a bust when you can just overwork the free interns and churn out some more skins and loot boxes? @Anti-Matter And I think Minecraft is better than them in terms of gameplay. I think Minecraft is the first 'evergreen' video game. They dont need to create a sequel because the format is so scalable and the gameplay seems timeless. This is why they get to re-release the same game for each new generation of hardware. Nintendo is critisised for the amount of 'deluxe' versions being released on the switch but that critism isnt levelled at Minecraft. @Anti-Matter Dragon Quest builders and Portal Knights might look prettier (I played both), but they are not even close to what Minecraft offers. Not even close. The original Java version of Minecraft was crazy as to what could be done. Unfortunately the new Bedrock version isn't fully there yet, since the focus has been on Multiplatform compatibility, but they are getting there now. People complaining about having to pay for Skins and texture packs. Well those have been created by the community and are often very cheap. There are some really good packs out there, that add whole new gameplay modes to the game and worth every penny. A lot of effort went into it. Don't forget we got the Underwater update for free just before the summer. That was a huge and welcome update. It's fantastic. The reason i choose Portal Knights (And might be consider Dragon Quest Builder 2 for some reasons) because i Cannot Stand for Too Much Blockiness from Minecraft. Everything are Blocky, Cube form , doesn't look pretty to me. I want some proper shapes, not cubes everywhere. And i have ever Rejected Portal Knights at first time due Too Minecraft. @Deku-Scrub Same for games like World of Warcraft. It must be such a bad game since WoW2 has never been released after 10 years printing money. A Minecraft 2 wouldnt work anyway, it'd just be the same game. @Rhaoulos : That's 14 years printing money (and counting!). I distinctly remember it being released in 2004 alongside other monster hits, including DOOM, The Sims 2, and Half Life 2. It was a pretty amazing year for gaming. It blows my mind that World of Warcraft is still so wildly successful, so much so that it has billboards and even light rail advertising! It's crazy to me that such an old game is still as successful as it is. Speaking of 2004. EA could have (and should have) continued to churn out expansions for The Sims 2 instead of making sub-par after sub-par sequel (with less content than their predecessors). The Sims 2 is still the uncontested pinnacle of the franchise. Sadly, I noticed EA letting their piggishness get the better of them less than halfway through its shelf life. I waited for the rest of the expansions to drop to dirt cheap prices as they clearly weren't getting their act together, offering less and less content (and '''ing up the Australian releases). The Sims 2 very much felt like a game that would benefit more from content updates than sequels. I was a diehard Sims fan, but I've barely touched The Sims 3, and The Sims 4 might as well not exist. The sequels also felt really redundant because they offered so little in the way of new content, and both sequels are considerably uglier than their predecessors. The leap from The Sims 1 to 2 was huge, yet 3 & 4 feel so regressive. I might consider buying a Switch version of The Sims 4 (if it ever were to happen), but the idea of buying digital-only console-locked expansions is repulsive to me. I still play the first two Sims games to this day, however, I would not be able to do the same with The Sims 4 and its expansions due to the very stupid manner in which EA chose to release them, hence why I will never buy them. So much has changed (for the worse) in such a short time. @MasterJay Not really. Any additions they could have in a sequel could just be added to the first game. @Silly_G Oops, should have googled it. Time flies and I didn't realise it was so old. I never had a chance to play any of the sims game, but you know EA, Ubisoft, Activision (mostly EA) and probably many others release a yearly version of the same game with loads of DLCs and micro payments because it way more lucrative than making a proper expansion. I too miss the good old days of gaming, but you have to admit 2017 was a pretty incredible year in gaming. Some might say we are entering a new golden age in gaming despite some awful business models. @Dalarrun Huh? I'm pointing out an obvious typo, not disagreeing. I still don't actually get Minecraft. I get DQ:B it's an RPG with a building mechanic. I still don't get Minecraft at all. You just are...there....to....do....stuff.... I haven't actually found the game yet. I wanted to....I tried....it just never happened. And the graphics that I can't tell what anything is really doesn't help. It's like Quake 1 but even harsher. @LetsGoSwitch Did you miss the part where the company that made that just spiraled fantastically into collapse and closure? @LetsGoSwitch You know, that idea might just have actually saved them! I feel they wrapped up the story in a very satisfying way in the original and at this point a sequel would just feel tacked-on. @Supadav03 It's basically endless creativity but yes, there's an end of sorts. @aaronsullivan Yeah, I’m being sarcastic. I pulled from a semi-common joke where people tease a well-recieved game by saying “If [blank] is so good, why isn’t there a [blank] 2?” It was more notable around Xenoblade 2’s release, ironically before we knew about the Torna expansion which is effectively Xenoblade 2 2.